Salut mes amis!! I am a former High School French teacher and I am excited to share my love of the French language with you! Born and raised in Norfolk, VA, I received my BA in French from the University of Virginia in 1988. I have taught all levels of high school french starting my teaching career in Athens, Georgia at Athens Academy, and from there, in Fairfax County, Virginia at Annandale HS as well as in Norfolk, Virginia at Granby High School. Additionally, I have tutored French on and off for the past 10 years . While I am a strong advocate of the "old school" foreign language teaching methods and feel there is much to gain by this instruction, I also am well versed with the newer technology based instruction. I am well versed in the Vista Higher Learning Program, an online French curriculum program accompanying their textbooks and see the benefit in both teaching techniques. 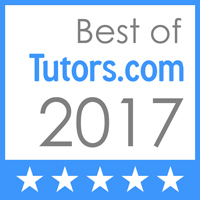 I love working with all students and cater my tutoring style to what best works for the individual student. I have been with Tidewater Tutors for six months now, and am so fortunate to be part of such an excellent team!! Last spring, I began tutoring a first grader biweekly in math and reading and look forward to gaining more this fall . I love working with all age groups and hope to share my enthusiasm for learning with your child .